WestEd collaborates with our clients and partners to help all learners, particularly struggling and underserved populations, thrive for years to come. The featured initiatives listed below demonstrate the breadth and depth of our project work. The federally funded California Comprehensive Center provides intensive technical assistance to the state's Department of Education and other state- and local-level stakeholders to improve student outcomes. Be part of the growing network of institutions that are empowering students to reach their college and career goals by transforming their mathematics learning experience. The Center for IDEA Fiscal Reporting aims to improve state capacity to report special education data through expert leadership, deep understanding, strong collaboration, and comprehensive and ongoing internal professional learning. The U.S. Department of Education selected WestEd as the lead agency to operate the Center on School Turnaround, charged with building the capacity of state education agencies to support districts in significantly turning around their lowest-performing schools nationwide. The federally funded national Center on Standards & Assessment Implementation provides state education agencies and Regional Comprehensive Centers with research support and technical assistance to help inform decision-making in standards and assessment. This robust website offers research-based tools, resources, and services to help teachers plan and deliver highly effective instruction aligned with college- and career-ready standards. Educators, policymakers, and researchers: Visit the Data for Decisions Initiative website for solution-driven tools, resources, and research to develop a better understanding of how to use data to improve education outcomes. Read about WestEd's evaluation of critical training for the Internet Crimes Against Children Task Force Program. Constantly evolving to meet the the changing needs of school districts and teachers, the K-12 Alliance develops and implements quality custom-designed science and/or math professional learning programs in California and nationwide. Recognized nationally for its expertise in teacher professional development, Making Sense of SCIENCE connects hands-on science with integrated teaching and literacy supports, positively impacting thousands of teachers and students. The Mid-Atlantic Comprehensive Center partners with states to strategically plan, implement, improve, scale up, and sustain critical education initiatives and reforms to improve education outcomes for students. The Mid-Atlantic Comprehensive Center (MACC@WestEd) partners with states to grow their capacity to implement state-level initiatives and support district- and school-level efforts intended to improve education outcomes for all students, close achievement gaps, and raise the quality of instruction. WestEd’s National Center for Systemic Improvement (NCSI) helps states transform their systems to improve outcomes for infants, toddlers, children, and youth with disabilities. This federally funded National Research & Development Center aims to enhance the conditions of instruction and improve learning outcomes for students in important and challenging mathematics concepts and skills. Quality Teaching for English Learners provides elementary and secondary school educators nationwide with the tools they need to accelerate language development, academic literacy, and disciplinary knowledge of all students, particularly English learners. Reading Apprenticeship provides educators with a practitioner-tested and research-validated professional development approach that helps students develop the literacy competencies, subject area knowledge, and the learner dispositions they need—for school, college, career, and life. WestEd is conducting extensive research on and evaluation of the design and learning impacts of Ready to Learn educational digital media content for children and their families. Access our reports on formative evaluations, technology needs assessments, and impact studies. 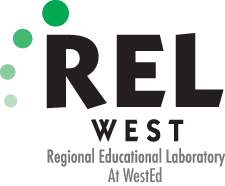 The Regional Educational Laboratory West provides research, analytic support, and resources designed to increase the use of quality data and evidence in education decision-making in Arizona, California, Nevada, and Utah. How can simulations enrich middle school science learning and assessment? SimScientists integrates the latest research findings and best practices from principled assessment design, model-based learning, cognitive science, and education measurements. Educators, develop a deeper understanding of college- and career-ready standards by analyzing student work on performance tasks. Visit the Understanding Proficiency website. The West Comprehensive Center provides intensive technical assistance that helps state education agencies in Arizona, Nevada, and Utah implement and sustain initiatives designed to improve student outcomes. The WestEd Justice & Prevention Research Center focuses on high-quality research to identify solutions that promote positive community and school environments.